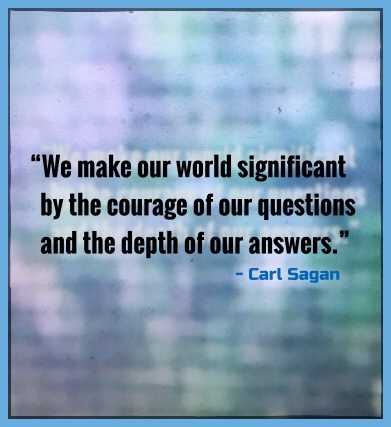 Our world: our questions; our answers. by the questions that we ask. reveal by the answers that we offer. Have the courage to ask the right questions.